No place for long hair on Iran TV! The BBC has come out with a hair-raising FIFA story! 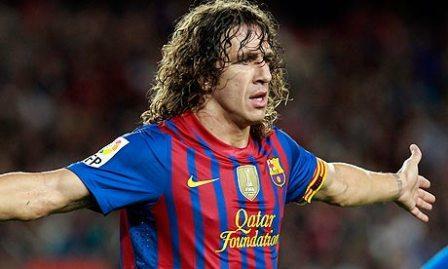 Former Barcelona football star Carles Puyol accepted a spot to provide World Cup commentary on Iranian television. He travelled all the way to Iran. He arrived at the door of the studio. he wasn’t allowed in. Evidently, his trademark long curly hair was the cause for concern. The footballer was billed to feature in a Channel 3 special programme for the Iran-Spain match on Wednesday, alongside host Adel Ferdosipour. But after travelling to Iran and to the IRTV 3 Tehran studio, Mr Puyol was denied entry. A frustrated Mr Ferdosipour, left to host the programme without his Spanish counterpart, told viewers before the match: “You must be aware that Carles Puyol was scheduled to be with us tonight. However, he is in his hotel right now. I did everything I could but it didn’t happen. I apologise,” ISNA news agency reported. Initial reporting of the footballer’s absence focussed on speculation the star’s appearance fee was set too high – but on Thursday a different story emerged. Mr Puyol was told by the state broadcaster IRIB he could not appear in the programme “because of his looks (long hair),” according to news website Entekhab, who quoted the footballer. The Iranian Football Federation’s code of conduct, the Charter of Ethics and Behaviour, says players must not sport hairstyles which help “spread foreign culture,” and footballers are occasionally warned for hairstyles deemed inappropriate by the authorities. The bizarre news prompted many on social media to criticise the broadcaster. “You have disgraced us around the world, IRTV 3,” tweeted reformist journalist Saba Azarpeyk. “Mr Puyol, this is Islamic Iran! We won’t let you put Islam in danger with your wild hair!” another Twitter user wrote, sarcastically. This is not the first time long hair has caused controversy on TV in Iran. Two years ago, Peyman Hosseini, the national beach football team’s goalkeeper, was not allowed to appear on TV because of his long hair. When asked to wear his hair up, he refused. The decision to cancel Puyol’s appearance comes just weeks after IRTV3’s veteran director Ali Asghar Pourmohammadi was replaced with one closer to Iran’s ultra-religious hardliners, says the BBC. One Response to "No place for long hair on Iran TV!"